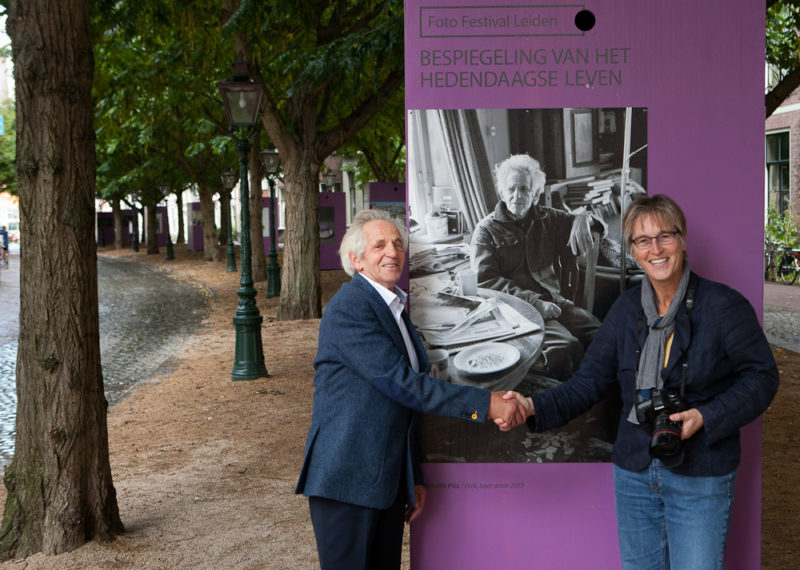 With the help of a team of professionals and volunteers, the Foundation for Talented Photographers has successfully organised the first Photo Festival Leiden in 2013. Within a short period of time, many activities were added to an already growing list of events. 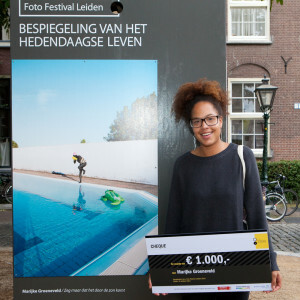 These include the attraction of 104 young photographers, who together submitted more than 400 images, bringing about an open air exhibition in the city centre of Leiden displaying 80 images of 20 talented photographers, judged by a dedicated professional jury. All activities remained freely accessible to the general public from October 5th till November 5th 2013. Michaël Roumen (Director of Cultuurfonds Leiden, a cultural trust) opened the open air exhibition on the 5th of October, attended by 100-150 people. In total roughly 10.000 people enjoyed the 2013 program, especially the open air exhibition in Leiden city centre. Art gallery Amber, adjacent to the outdoor exhibition on the Hooglandse Kerkgracht, functioned as base for many of the public activities. Furthermore, the Foundation organised an educational program for students of the Regional Community College Leiden, combining cooking activities with learning about photography, yielding a separate exhibition and booklet. The Foundation participated in a commercial program, the Film & Photography Shopping Weekend (25th and 26th of October 2013), a local event combining shopping activities (organised by Leiden City Management), film (by Leiden International Film Festival, LIFF) and photography (by the Foundation for Talented Photographers). Alltogether, the board of the Foundation is very satisfied with the developments in 2013, and is presently busy organising the 2014 edition.